one thing i hate about make up is running out of it. especially when it comes to foundations. its just so frustrating. i also tend to run out of everything at the same time which is not so great for me and my bank balance. this time i ran out of three firm favourites of mine which is even more painful so i thought i would dedicate this post to those three beautiful foundations and because i need to remind myself to get all of them again because they are just my favourites and i would highly, highly recommend them to everyone who prefers a dewy and glowy finish. i also featured them a million times over here and i probably will forever so i hope you’re not getting bored. 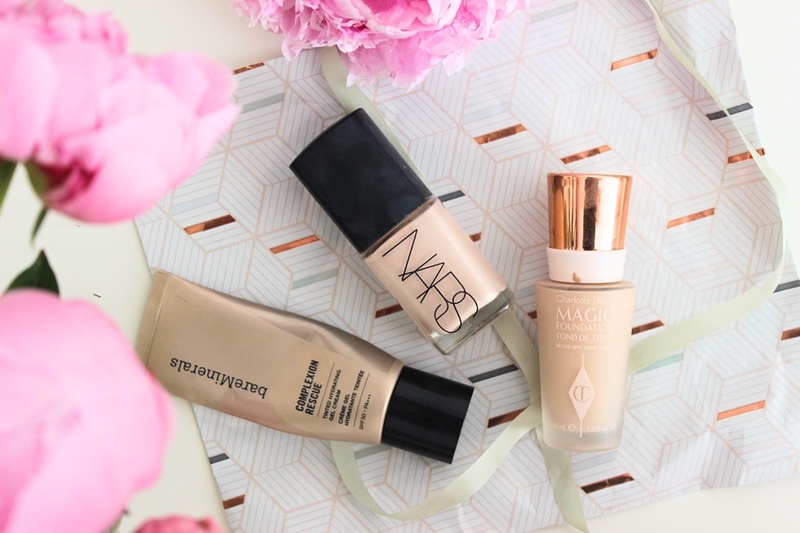 first off might be my all time favourite foundation, its everyones darling nars sheer glow. it gives me a new face and never tried anything quite like it and i’m pretty sure i never will find anything like it. its worth every penny and the fact that i can finally order it from net a porter now is just amazing. 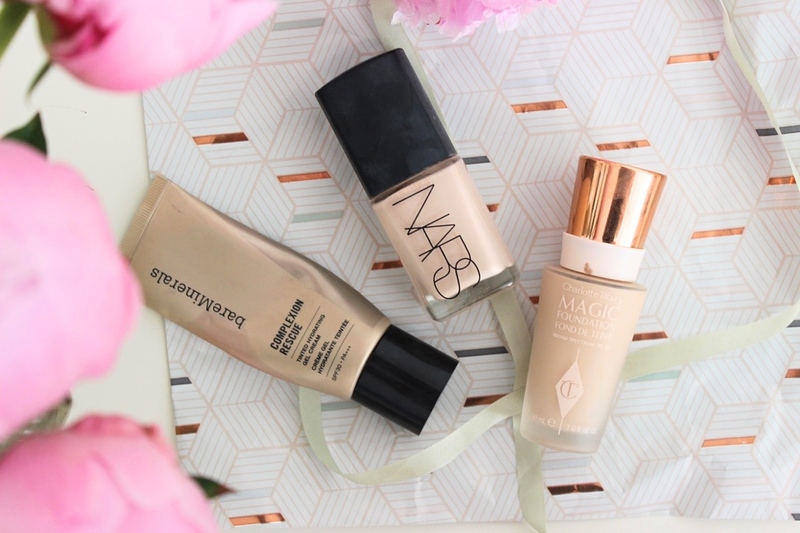 the only foundation that comes close to it and its another huge favourite is the charlotte tilbury magic foundation. it was everyones favourite in 2015 and it certainly still is one of mine. again, i get it from net a porter as theres no ct counter anywhere near me. germany has to step up its make up game for sure. for the warmer days i love the bareminerals complexion rescue. its so easy to blend, covers nicely but i can’t feel it. i have to get it asap as i can’t go one day without it when its hot. its also perfect as a base layer when you want to go for a full face and you want to enhance the glow and the staying power of you regular foundation. 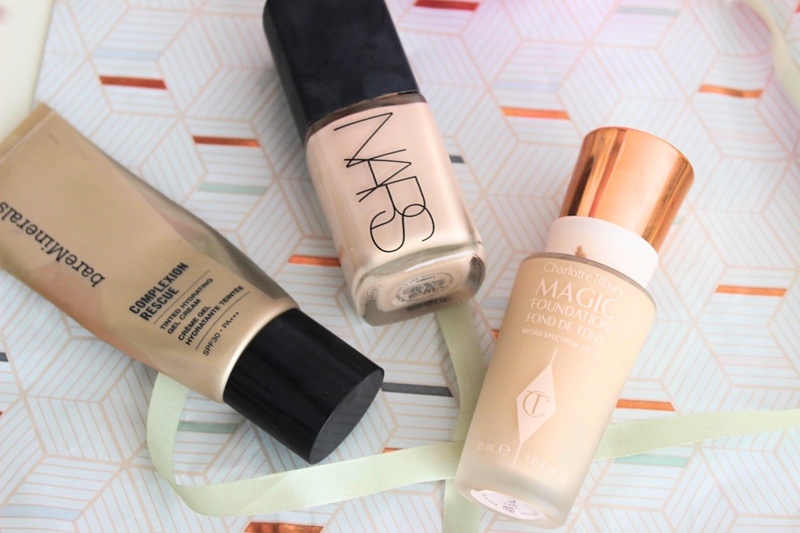 do you have any holy grail foundations you love? let me know.